Luella and Josefin are loving their new play house from Ludi. 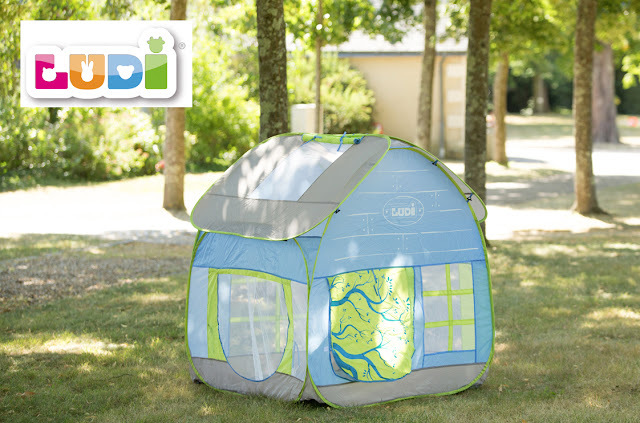 The french brand has a great selection of children toys and child care products. I love the unique playful and colourful design. It offers lots of creative solutions for children imagination and fun stimulation. Ludi is now available in children super store Just Kidding. The Ludi Cottage is a pop up tent, super easy to set up, thanks to its easy convenient design and assembly. It took about 5 minutes, no manual needed. The best part, it's was easy to put away, folding it back into its convenient bag. Take little storage place, can be store away at home or ready to be taken on travel and play date. 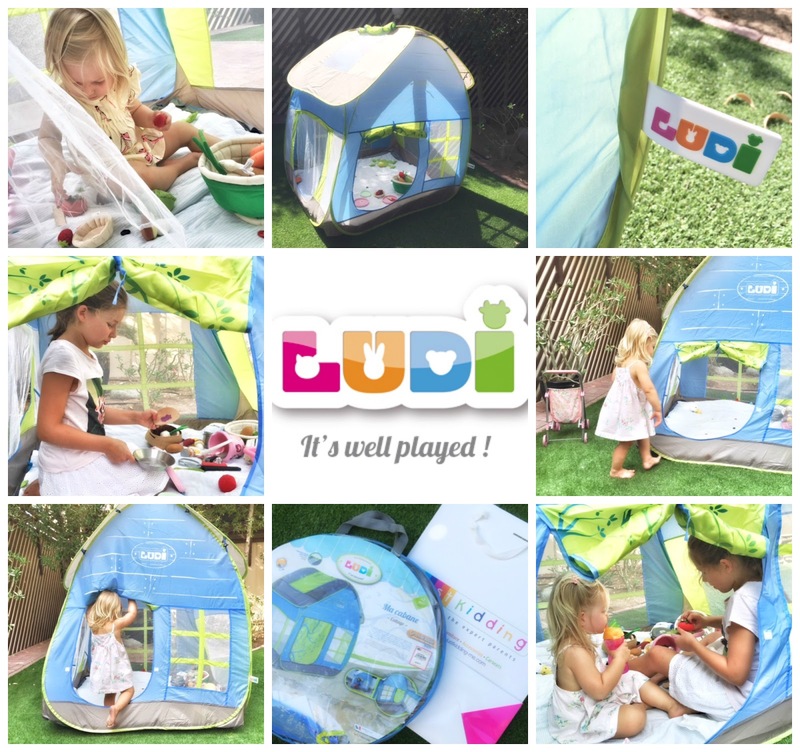 Available at Just kidding store across UAE, the Ludi tent retail for AED395 - details her.